Putting family first comes at too high a price for most Americans: people can’t afford to go without pay while caring for their family. Whether recuperating, welcoming a child to your family, or caring for a loved one through illness or end of life, we all need paid family leave. Whatever the circumstance, it’s family love and support that helps us get through. It's what most of us believe: family comes first. But putting family first comes at too high a price for most Americans: people can’t afford to go without pay while caring for their family. That’s not right, and it’s hurting our families, our country, and the economy. 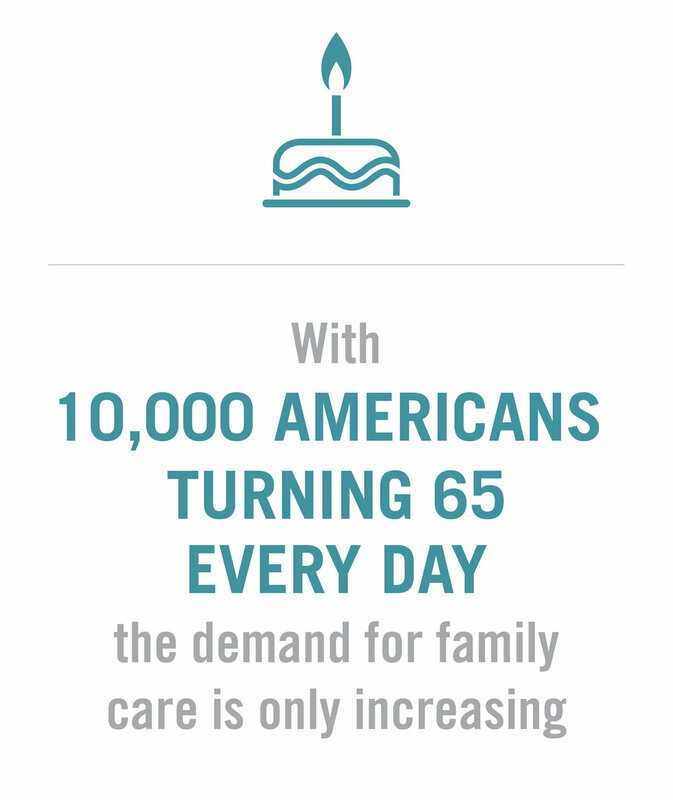 We’re facing a caregiving crisis in America. Forty percent of us have no access to paid family leave. Over 40 million people provide unpaid caregiving every year without the support they need. Currently, paid family leave is an elite benefit, accessible only to a few. Every child and every sick family member deserves to be cared for when they need it. As a result, people are dying alone, newborns’ wellbeing is at stake, and families are going into financial crisis because of unpaid family leave and the cost of care. Paid family leave benefits everyone – it increases productivity and employee retention, closes the wage gap, reduces infant mortality, and improves maternal health outcomes. Large businesses like Starbucks, are already seeing the benefits. This proves it can work. Seven in 10 small business owners also express support for a paid family leave insurance program funded by both employer and employee contributions. A shared responsibility makes these programs possible. Paid family leave reduces infant mortality and improves maternal health outcomes. Inclusive paid family leave can also help close the gender wage gap by helping women to stay in the workforce and rise to leadership roles.